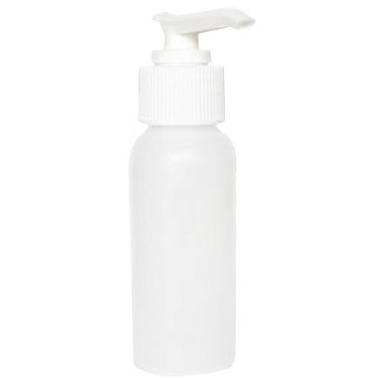 This Penny Lane Organics White Plastic Bottle with White Lotion Pump is perfect for traveling and for samples. Ideal for traveling and camping - take all your favourite personal care products with you in these small handy bottles. Lotion pump makes dispensing easy. Ideal for liquid soap, body wash, shampoo, lotions, etc. These are useless. Mine leaked. They also didn't have enough pump action to make foaming hand cleanser. Love these little bottles! Perfect for travel.